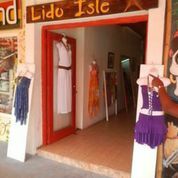 Lido Isle Boutique was opened by a brother and sister team from California. Douglas Johnson was living and working in Costa Rica, and his sister Teri would often visit. Teri, diagnosed with Rheumatoid Arthritis, always found herself feeling better in the humid climate offered there, particularly as she was told that because of her condition she would not live to be 45. Everything in Lido Isle is handmade and one of a kind. The bamboo rayon fabrics are hand dye, and printed fabrics take up to ten days to make. They use the traditional Balinese Batik, a threefold process, using a stamp dipped in wax. The patterns are always slightly different, guaranteeing that no two dresses are exactly the same, and the designs are all original. Douglas is surprised by how much he loves having a dress boutique. “You get to meet all these wonderful people from all over the world.” Douglas has even come up with a few designs for the next collection, available in August. Stop by and meet Doug and Teri for a souvenir or a new dress for an upcoming event. Lido Isle is located on Main Street beside the Flying Pirates. Today….I wanted to shop online! Your fabrics are amazingly beautiful and comfortable! I am hooked! Please put your styles and colors online!!! 1) Are you associated with the Lido in Panama City, Casco Viejo? 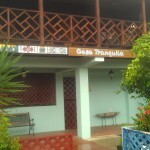 2) What is your address in Bocas?